The Internet is filled with a lot of free resources. Among them are free menu templates that most restaurateurs, freelance graphic designers, and students alike will appreciate. Do you belong to any of these categories? If yes, brace yourself as we will discuss the advantages and disadvantages of using free menu templates. A collection of 30 examples of free menu templates curated from all over the Internet are also embedded all throughout this article. Most people think of menu cards only as lists of all the food items and meals that a dining establishment offers. But menu lists may also be used as a catalog of services, products, prices, and a lot of other things. 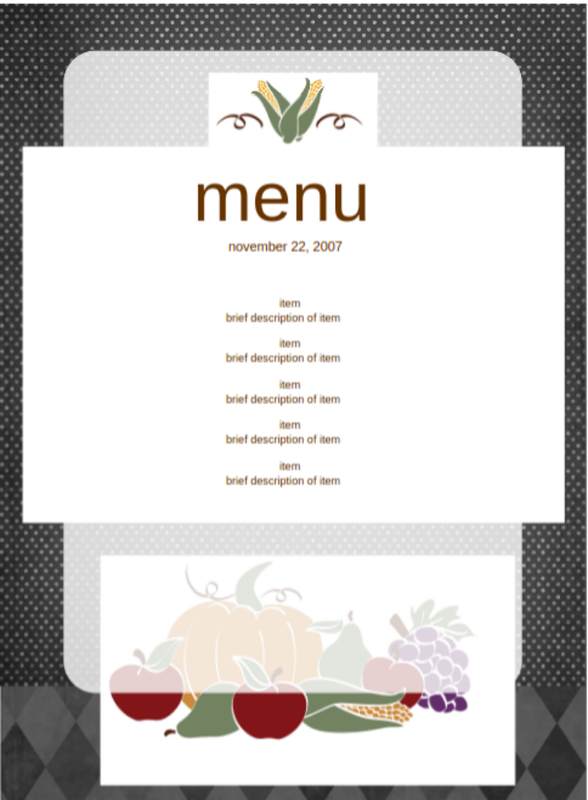 In this article, however, we will focus on food menu cards and the free menu templates needed to create them. 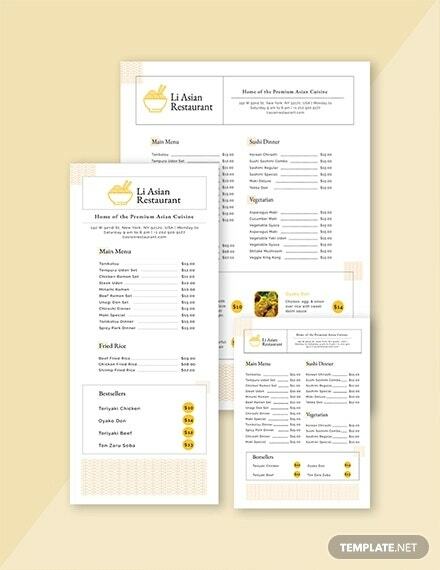 Menu templates are digital documents or files containing information for the creation of menu cards. These files serve as the basis of creating menu designs for various dining establishments. 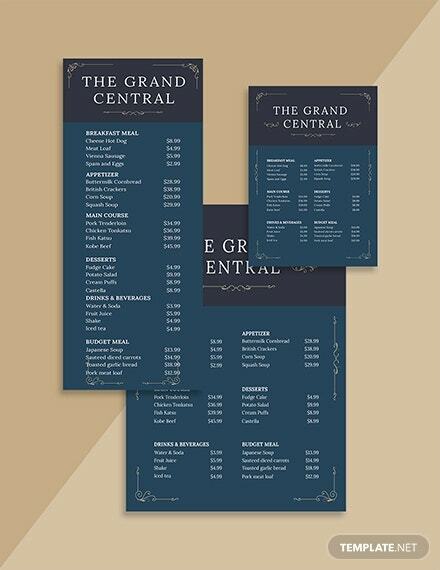 Menu templates may be created by hand like a handmade card design or they may be created using a software program like Adobe InDesign. 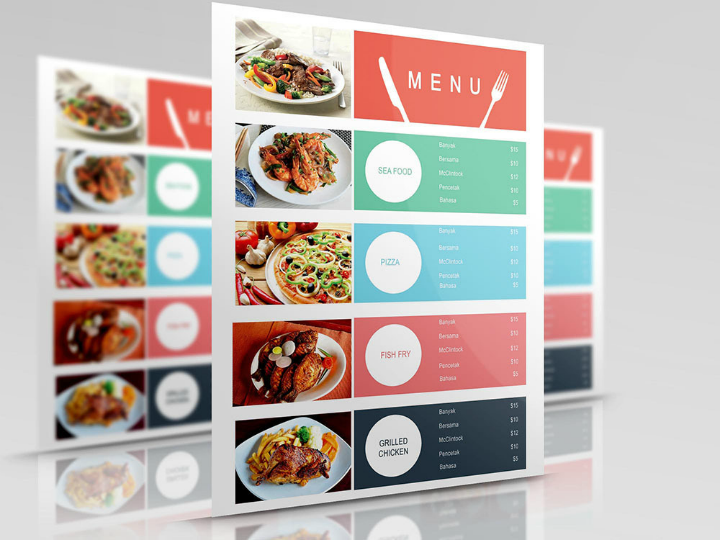 Anyone who knows how to use image editing, compositing, and desktop publishing programs will be able to learn how to create menu templates digitally. These pre-made templates may then be sold at a premium rate or given away for free. 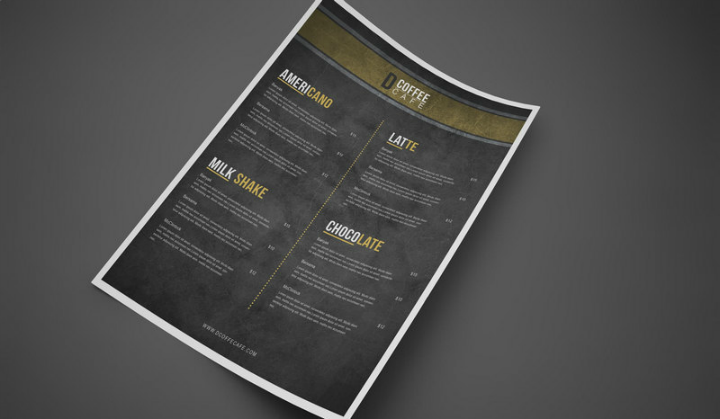 For this article, we have included 30 different examples of free menu templates that anyone can download and use. No additional cost. One of the greatest perks of using free menu templates is that you do not have to pay for them. This, of course, means that you save money that you would have used for purchasing menu templates online or for hiring a graphic designer to create the entire menu card. By using a free menu template, you are free to spend this money on other things related to improving the project or your restaurant. For some, menu card design templates will only serve as a design base so it would not justify spending a lot for premium menu templates. It helps you save time in completing design projects. Another advantage of using free menu templates is that they allow you to save time when completing your menu design project. For instance, if you are looking to create a retro ice cream menu template for your ice cream parlor, you do not have to go through the hassle of creating a menu design from scratch. 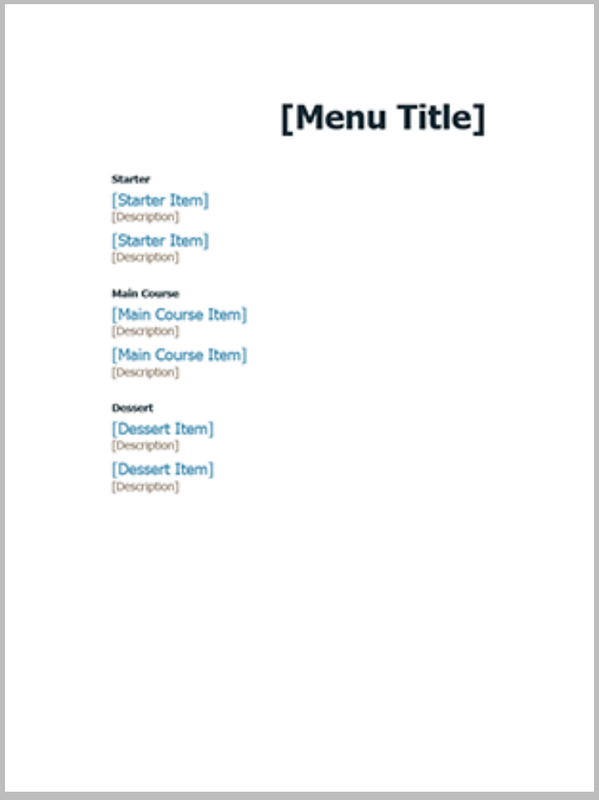 With a free pre-made menu template, you can proceed right away to filling out the menu items on the text and image placeholders found in the menu template. Allows you to practice your design skills. Using free menu templates for your design projects is also a good way to help increase your skill level in menu template design. There is a sense of fulfillment if you create different types of remarkable card designs from free resources. It helps relieve stress. Despite using a mouse or trackpad in creating things, graphic design may still be considered as art. That is why today, creating something digitally can be counted as a form of stress release through art. It is an alternative way to help you de-stress. Try it out; do not take your design creation process too seriously, and see for yourself if you have enjoyed the activity or not. Organizes your creative process. When you use free menu templates, you have free rein as to how to approach a design project. You are not limited to the specific theme or concept that a paid menu template may come with. Depending on your preference, you may solely use free menu templates in PSD or you may rely on free card designs in INDD format instead. As a creative person, you have the freedom to create all these things without being limited to one file format type. You cannot be sure of the original source or creator of the template. When using free menu templates, one major complaint is that end-users of the template cannot be sure of who originally created the free template. Of course, there are various ways to trace a file’s origin online. However, if you are in a hurry or have other things on your mind, checking a template file’s origin may not be done. This may then cause issues in the future especially if you use the menu template commercially. Possible image copyright issues. 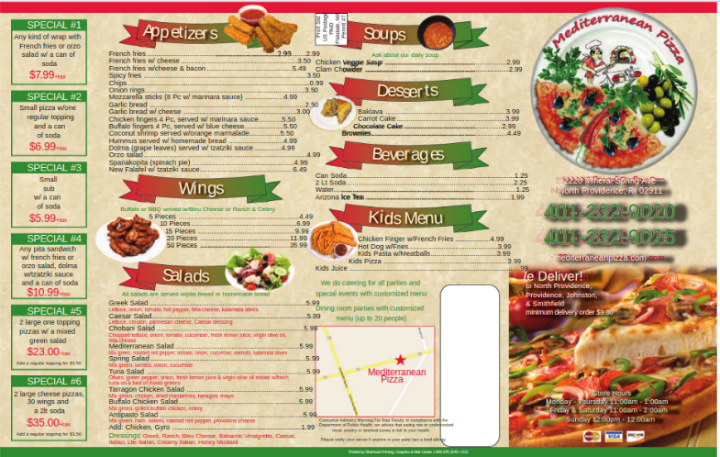 In connection with the previous item, some free menu templates are limited to personal use only since these templates may contain images that are not cleared for commercial use. So before downloading a free menu template, make sure it includes this restriction. If yes, a workaround will be to use your own images. To some creators, this can be a make or break issue since some menu cards are also used as marketing tools that will be distributed to a lot of people. Editing options may be limited. 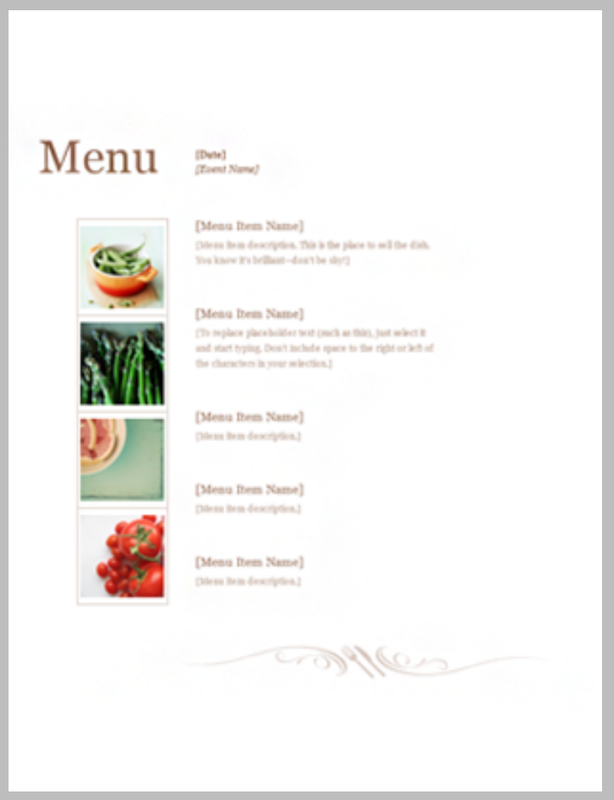 Some free menu templates found online are only available in certain formats. For example, there are menu templates in Word, PDF, or even EPS vector formats. These file formats allow very little room for adding minor changes or improvements to a menu template. So if you are thinking of going all out in terms of customizing a free menu template, you may have to choose a free menu template in different formats like InDesign rack card templates or card designs in PSD. Additional features may cost extra. There are other sites online that offer free high-quality menu templates available in multiple file formats. However, if you wish to make changes or add some extra design elements from the base file, you may need to pay for these add-ons. If you are looking to save money from purchasing a pre-made menu template, you need to be wary of these sites. These kinds of free template sites are recommended if you are only creating simple menu card designs for family events or for your own small food cart business. It may be difficult to find a template that will exactly suit what you have in mind. 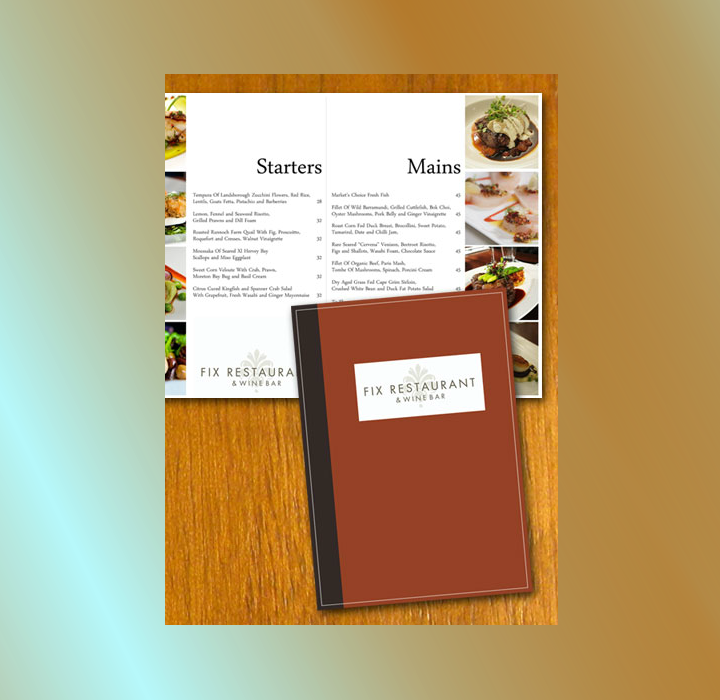 As with any pre-made menu template available online, it may be difficult to find a free menu design that matches your vision of what your restaurant’s menu card design should be. 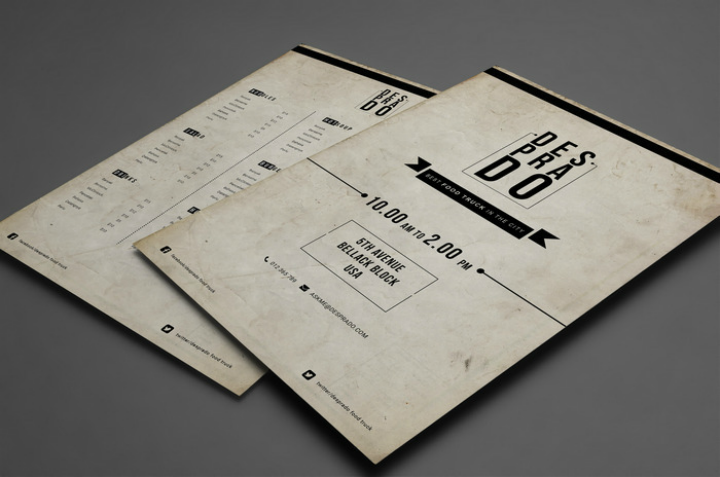 You will find some free menu templates to be lacking in creativity and quality. So you should be patient and skillful enough to know where to search for these better quality free templates. You may not have compatible source files. Another downside of using free menu templates is that they may be created using a different software program than what you have. For instance, if your preferred image editing program is Adobe Photoshop for creating rack cards, you will need to look for free PSD rack card templates. It will be a hassle for you to find an InDesign menu template if you do not have Adobe InDesign installed in your computer. The images included may be low quality or overused. Some free menu templates may also come with low-quality or overused stock images. 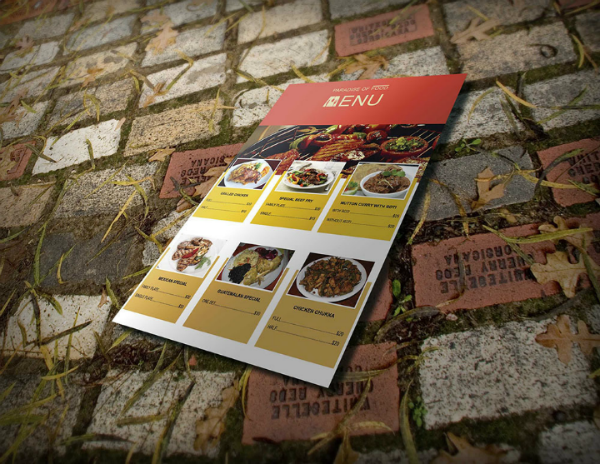 This is a major drawback if you want your menu card template to stand out. A solution for this is to use your own images. 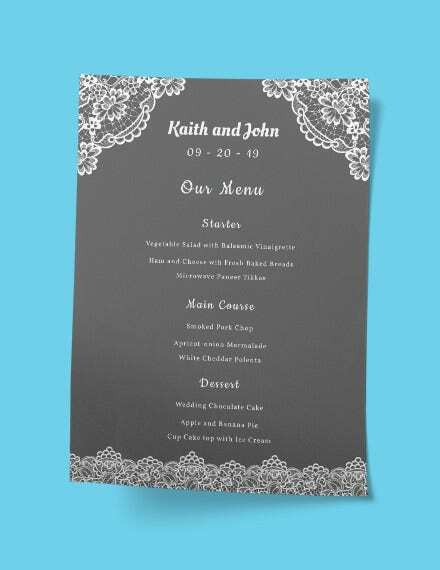 But for those who may not have the resources to hire a photographer or take their own food photos, using these kinds of menu templates may not be worth it. 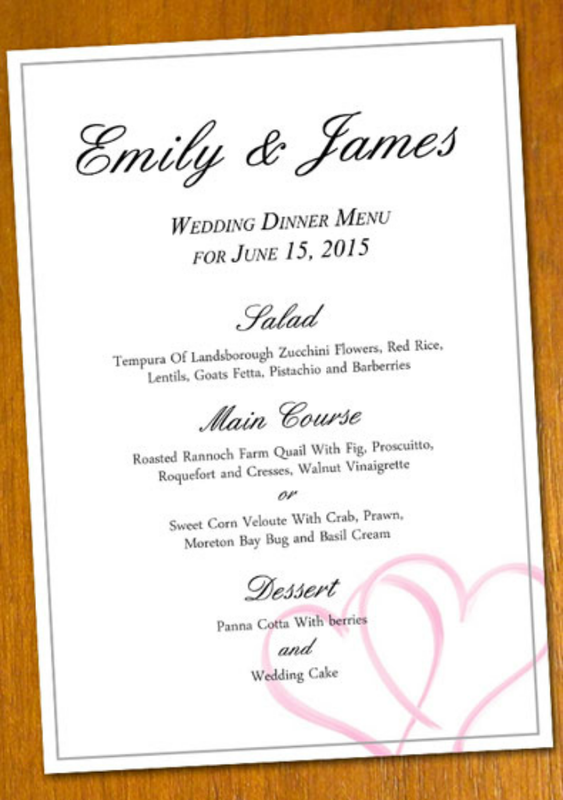 The Formal Event Menu Template pictured above is an example of a blank menu card that anyone can download for free from the Microsoft Office website. It can best be used for formal corporate or family dinners. And using Microsoft Word Online, you may easily edit the font styles and add descriptions for each menu item. Also, remember to use premium paper with ornate patterns and colors when printing out the template. Think Chinese, Thai, or Japanese. 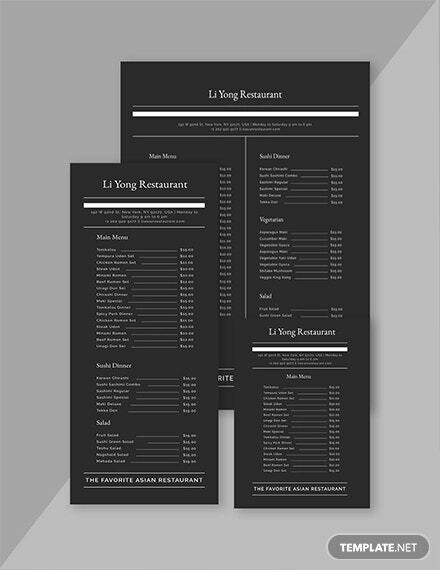 This Free Asian Restaurant Menu Template is suited to be a menu design for such restaurants. 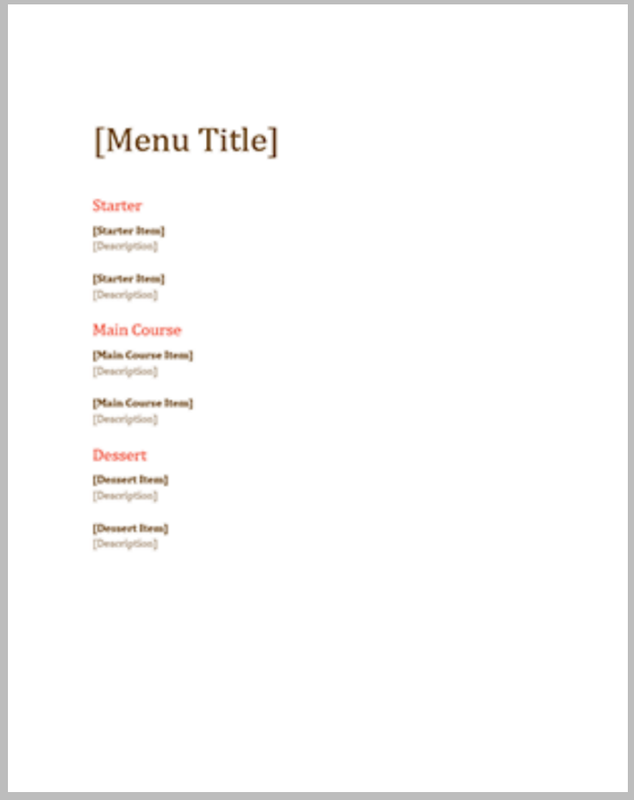 This is a booklet type of menu card so prepare a lot of paper before printing it out. It may also help to have this card design printed at a professional print shop due to the complicated printing requirements. 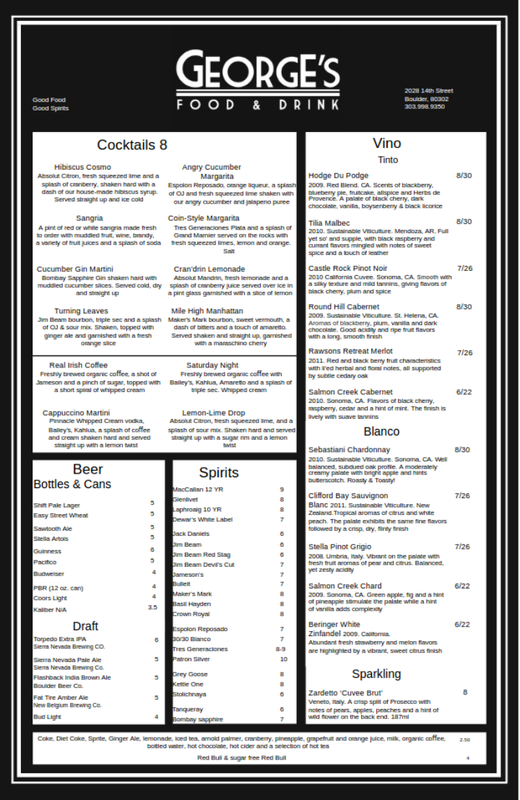 For those who want to create an organized list of all the alcoholic drinks and beverages that their restaurant or bar carries, it may be best to use a bar menu design like the Free Black & White Drink Menu Template pictured above. 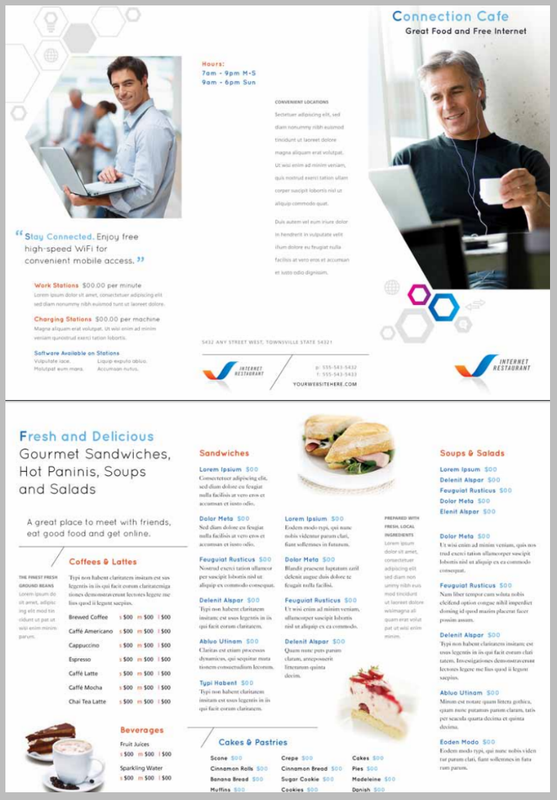 This menu template is available as a PDF file that anyone can easily edit as long as they have the appropriate Adobe program installed on their computer. 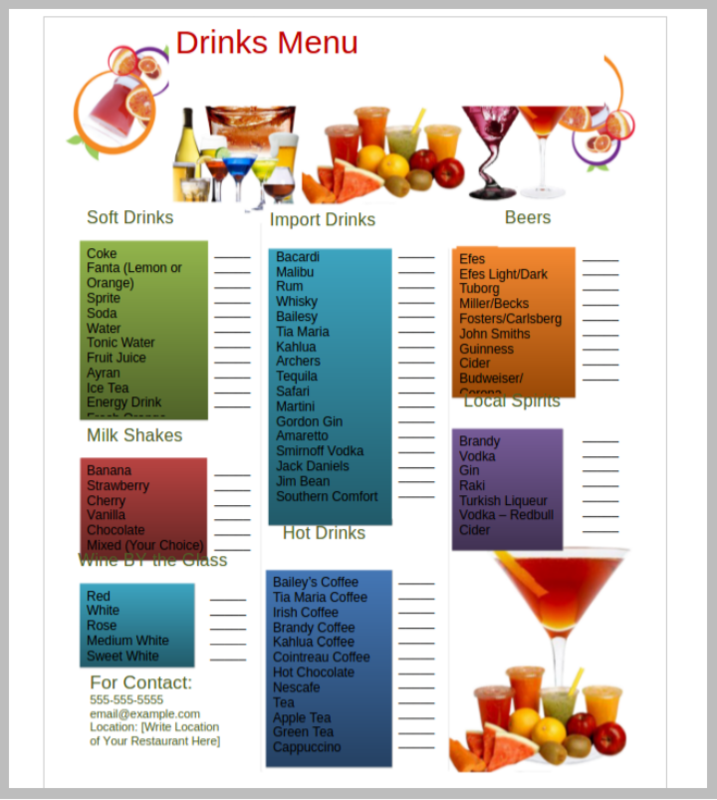 Fine dining restaurants may also use this drink menu template if they wish to separate their beverage list from their gourmet food choices. 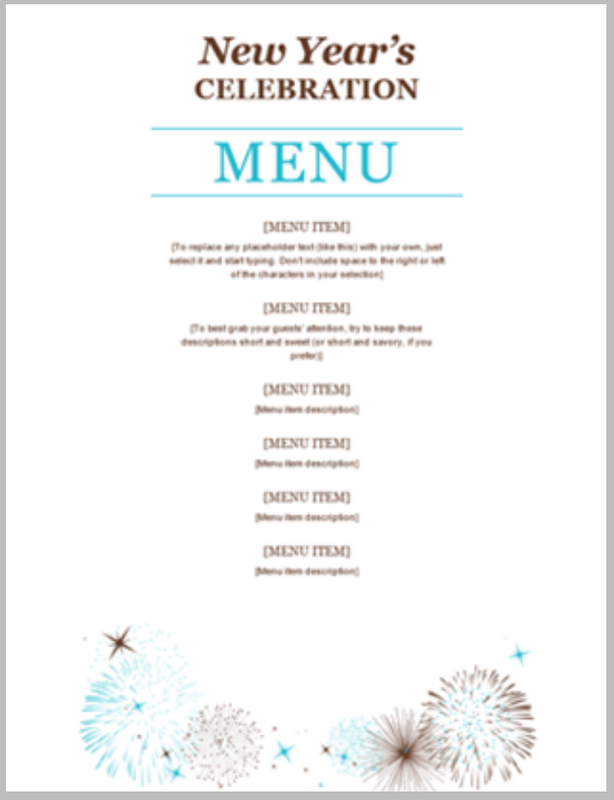 The Free Blank Event Menu Template embedded above is best used for specific dining events that require a separate menu template. This template follows a coral and brown color scheme and may suit wedding dinners or debutante parties. This template is available free of charge from the Microsoft Office website. 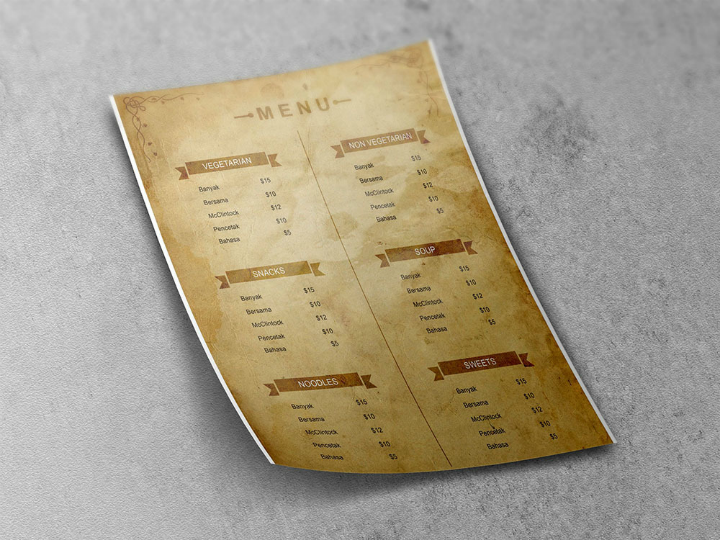 Choose the Free Blank Rustic Menu Template if you operate a dining establishment that already follows a rustic theme in your restaurant decor. This will serve best as a dinner menu template for delicatessens, pubs, and other casual dining places. If you wish to recreate this menu template design from scratch, it may be best to use rustic or grunge textures as the menu page’s background. If you do not know how to use and modify textures on Adobe Photoshop, you may use a printed card stock that already features rustic themes. Moms and Dads will love the Free Blank School Menu Templates since it will allow them to organize the different meals for their children. This is especially helpful to parents who want their children to follow a healthy diet without boring them with the same kind of food every day. 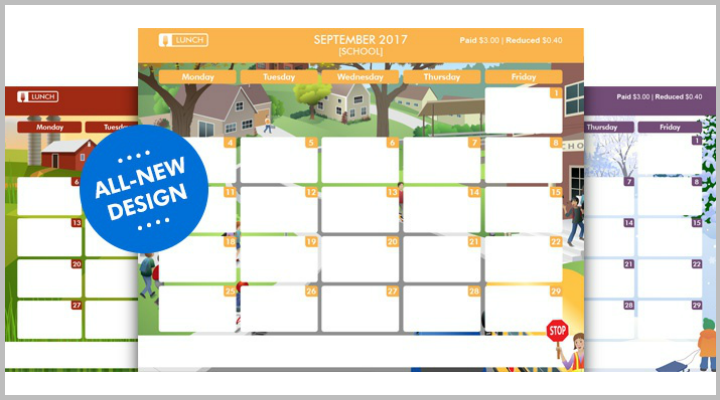 This template is ready for the 2017 school year so parents do not have to worry about adjusting the dates on the template file. Teachers and school coordinators may also use this template in implementing their respective school lunch programs. The mouthwatering cover of the Free Cake Menu PSD Template featured above will suit anyone in the bakery, pastry, and desserts niche. To truly create an attractive food menu cover design, invest in a good food photographer. This way, the photos that will be included in your menu card will be of high-quality and you do not have to edit the photos yourself. As a PSD card template, this free cake menu is fully customizable as long as you have a compatible version of Adobe Photoshop. Planning for family Christmas dinners can be exhausting. So lighten up the load by using this Free Christmas Day Menu Template instead. 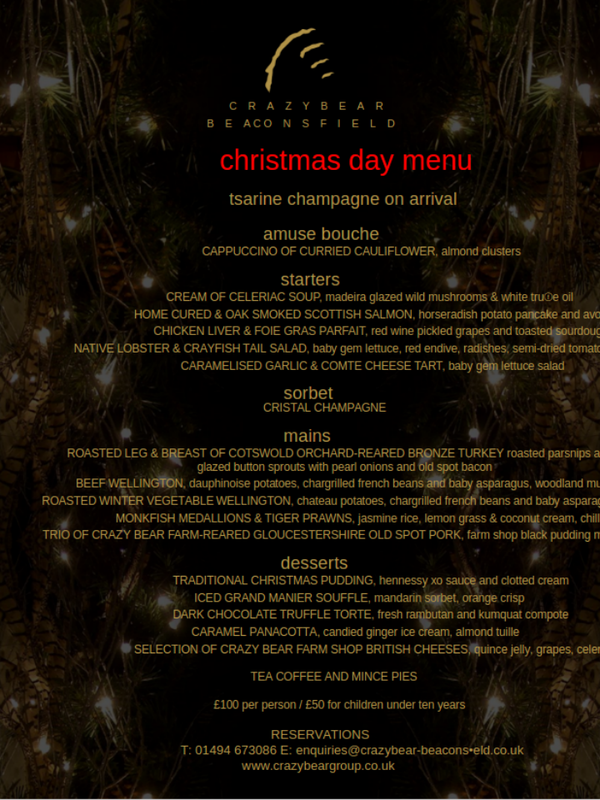 This menu template already includes the Christmas lights background image on the file so you do not have to replace it. As a fully editable file, all you have to do is type out the different menu items and you will be set! A tip: when writing out the menu descriptions, make sure to use easily understandable but appealing words. For more information on how to do this, check out this article on menu description writing tips. 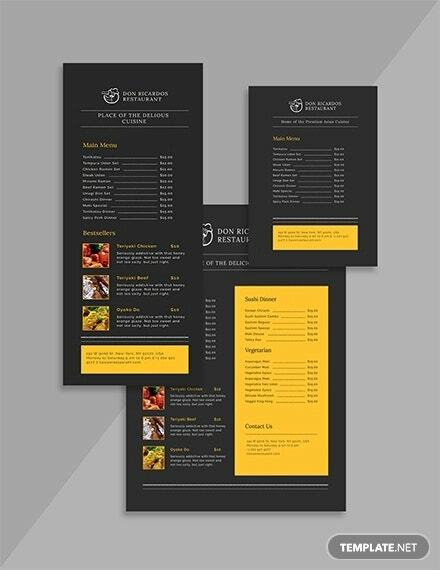 Business owners who want to differentiate their coffee shops from other shops should invest in a good menu design like the Free Coffee Shop Menu Template embedded above. 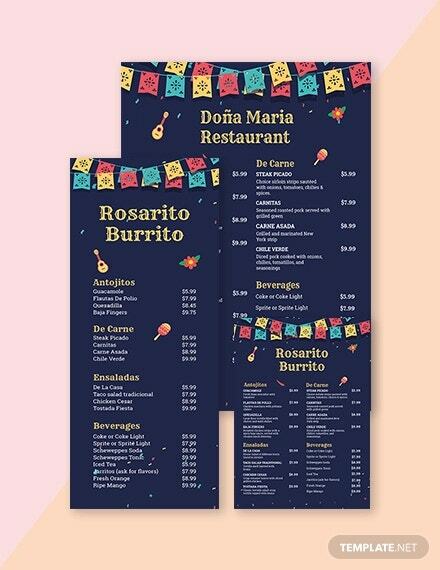 With this type of menu design template, you may easily insert any company branding information like restaurant logo design into the menu design. It also helps that this template follows a color scheme that most coffee shops use themselves. If you want a modern approach to menu template design for your specialty cuisine restaurant, try this look created by the Free European Cuisine Menu Template. 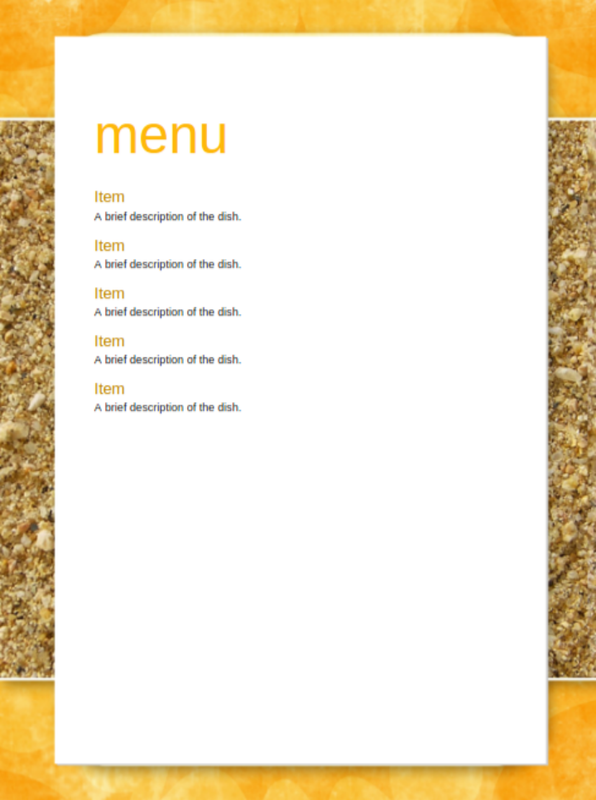 This menu template follows a modern layout without having to overwhelm its readers with pictures of traditional dishes. 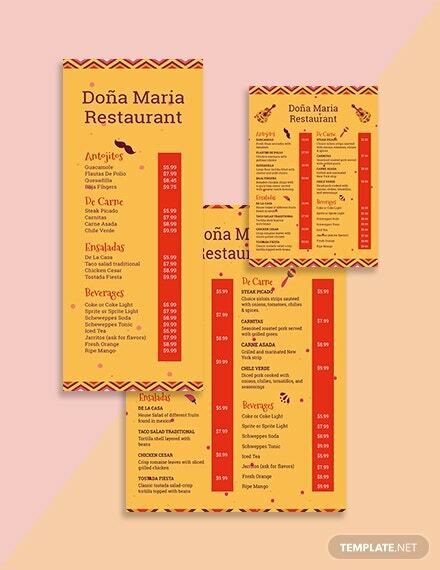 This menu template may also be used as a banner menu that you can print out on tarpaulin and display outside your restaurant premises. Not all free menu templates are created equal. You can find a lot of awesome ones on the Internet. But, alas, there are lousy designs, too. So if you cannot find the perfect menu template, you may just settle for a mediocre one and look for ways to help improve it. 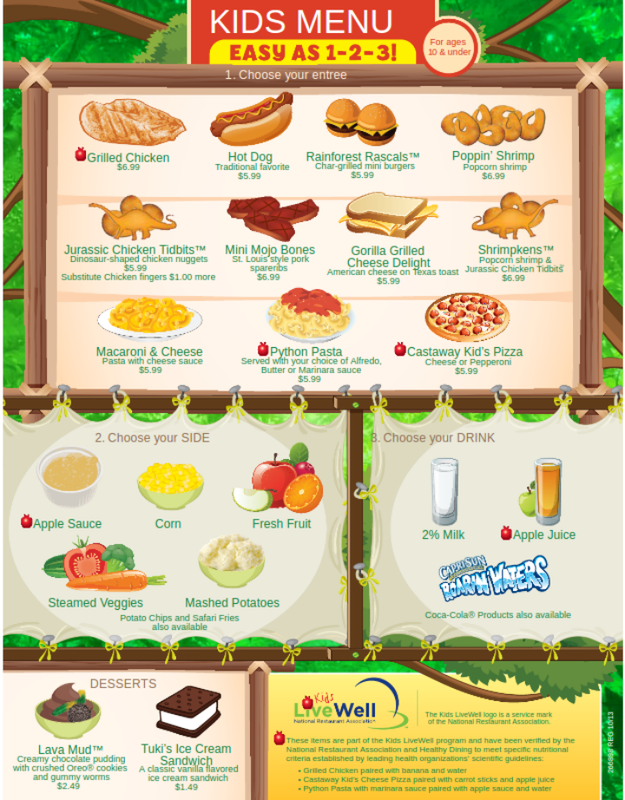 Listed below are a few tips to help improve any free menu template design that you have found. Use high-quality paper when printing. A good way to save a menu card design is by using attractive and high-quality paper or card stock. 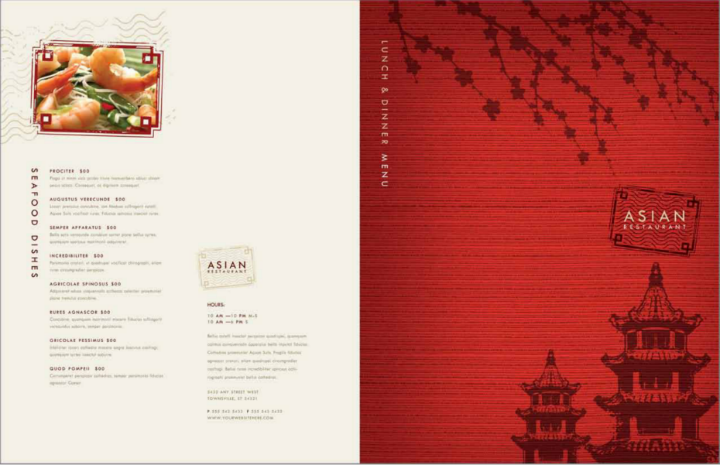 Those that have pre-printed patterns and textures will also help as they give more dimension to any menu template. So even if a menu’s layout seems lackluster on a computer display, it may be slightly improved by pairing it with nice paper. Proofread the template. Evaluating a menu template for errors in grammar, spelling, image captions, heading alignment, etc. should be a mandatory part of the steps to create a menu card template. Always make sure to have a third party proofread the template before printing it out. Doing this will save you the embarrassment and any additional money or effort that you may have to spend if these mistakes are not corrected beforehand. Replace the images with your own high-quality images. 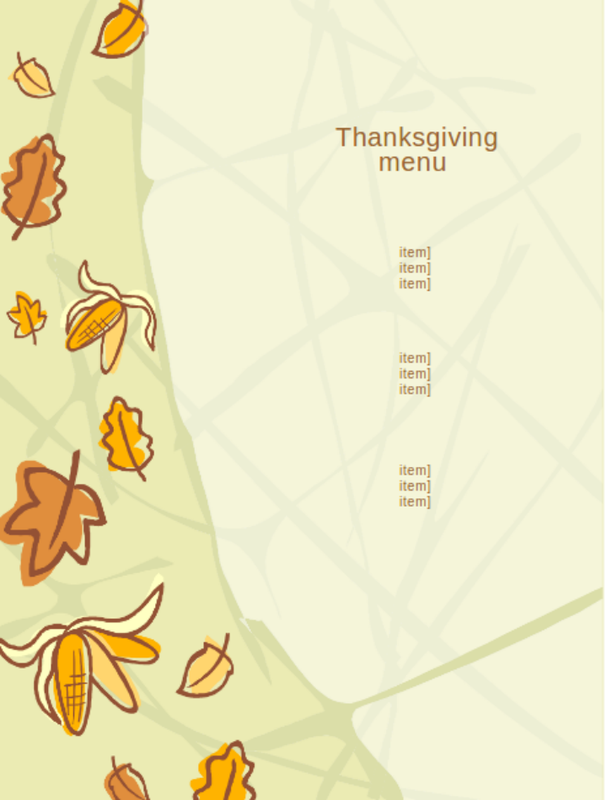 As mentioned earlier, some free menu templates will include stock photos whose attribution status may be questionable. To avoid dealing with copyright infringement issues, it is best to just use your own images. These days, smartphones are equipped with good cameras that you can easily snap a photo of the different meals that your restaurant offers. Or if you prefer to hire a professional photographer, you may do so. 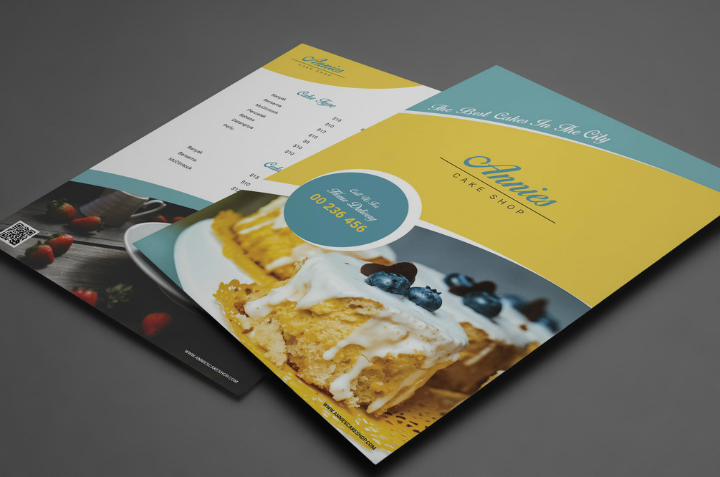 As long as you have original images, you will not have to face any issue with them after your restaurant menu card template designs have been released to the public. Invest in a good printer if you will be printing out a lot of menu card templates. A useful tip for anyone creating their own restaurant menu cards is to invest in a good printer. This way, you do not have to go to a print shop to print out all your menu cards. Having your own printer will also let you make prints at any given time. After all, you already own the printer. These days there are already low-cost commercial grade printers that you can easily use for printing menu templates at home. Include descriptions of the different meals or dishes that you offer. To take your free menu template to the next level, make sure to include comprehensive descriptions of the key items on your menu card. The main dishes that you want customers to order should be highlighted and should include good descriptions. This helps lure the customer into ordering that specific dish. For example, if you are operating a sandwich stand, you may include the specific sauces, fillings, and types of bread used for each kind of sandwich that you offer in your sandwich menu design. Do not use the currency sign in your menu templates. Another tip to be wary of when creating a menu card is this nifty trick on currency signs. You should not put them on the menu. This practice was developed due to the psychological effect of seeing currency signs like $, €, or £ reminding customers that they are spending money. Restaurateurs prefer to do away with this mention of price in their menus and instead hope to create more value in their food aside from the monetary one. If you intend to put the cost of a meal on your menu design, you may certainly do so but, please, omit the currency symbol. 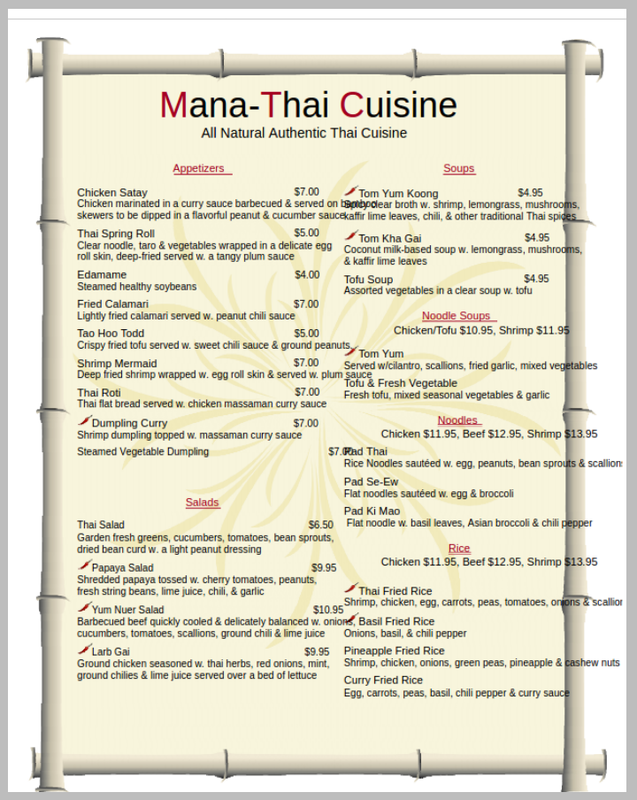 Follow a menu layout that will best attract customers to your key menu items. 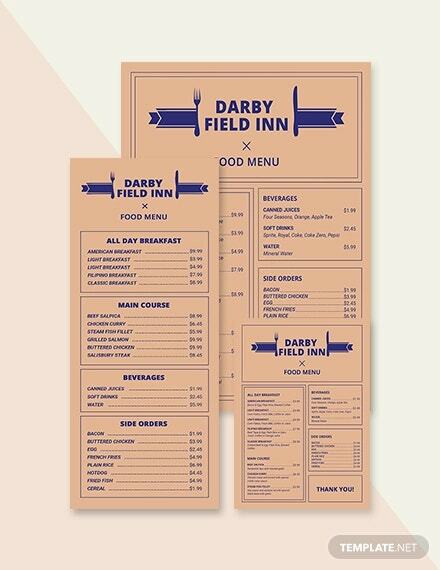 Always remember to follow a good menu layout template for any menu card that you intend to create. Free menu templates tend to use simple layouts so make sure to change this up a bit so that your menu cards become as appealing as they could. A menu card’s layout may also help unconsciously guide customers in selecting key dishes or meals that your restaurant wants to sell more. The best menu layout is the one that uses both images and text in equal measures. Freebies are awesome. But when it comes to choosing between different free menu templates, it can be overwhelming. To help guide you in making the right decision, we have created a set of questions that you should ask yourself if you need help in deciding what free template to choose. Is this the menu design concept I want? Are my computer skills enough to improve this free menu template? Can I make or transform this menu design to reflect my tastes? How long do I have before I am required to submit a printed menu template? Do I have the necessary software program compatible with this free menu template? What does this free menu template A have that template B does not have and vice versa? Can I easily improve upon this free menu template? 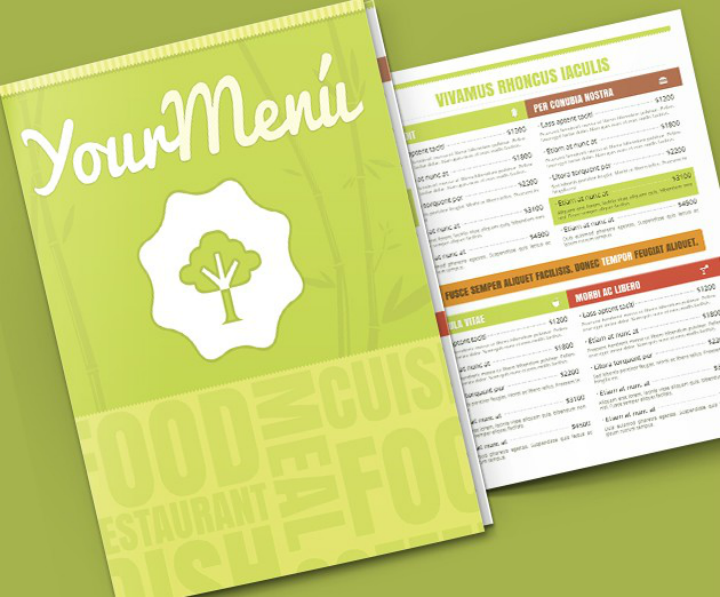 Your answers to these questions will help guide you in choosing the right free menu template. 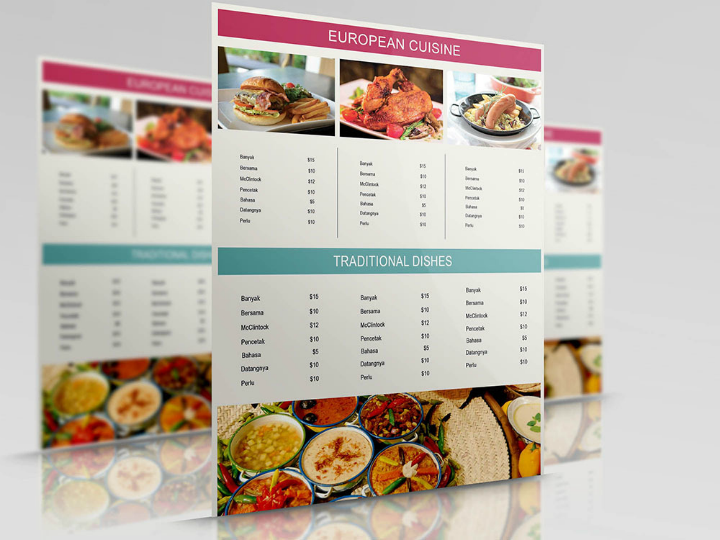 Answer truthfully and you will be on your way to creating the best menu card out of a free menu template. If reading this article made you more curious about whether to start a restaurant business or not, check out this article on a startup checklist for opening a restaurant. 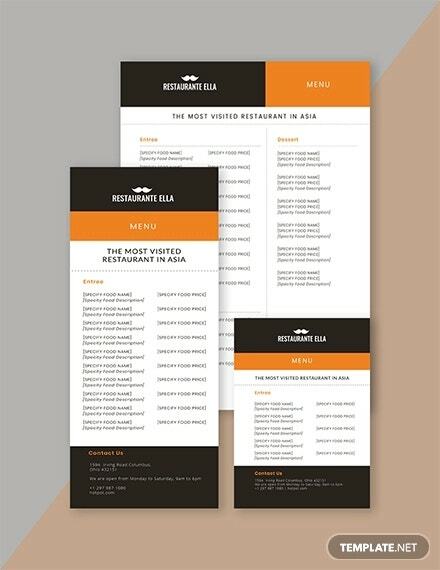 And if you found this short guide on free menu templates useful, share it with your friends who may also need a hand in selecting their own free templates.